Ok Another Post For You Arnaldo's Brides! What are you guys doing for set up? Are you setting everything up? Is your Bridal Party doing it? Do you have a DOC? They didn't mention anything about helping with set up, so I'm just trying to get my ducks in a row! Re: Ok Another Post For You Arnaldo's Brides! My bridal party is going to do it. Im not sure if I will help or not yet. I am trying to find some extra cash to fit a DOC into my budget. I always get cash for Christmas from my parents, so that will probably go towards a DOC. We don't have a bridal party, and I feel bad asking any of my friends to give up time in their day to put together the hall. [QUOTE]I am trying to find some extra cash to fit a DOC into my budget. I always get cash for Christmas from my parents, so that will probably go towards a DOC. We don't have a bridal party, and I feel bad asking any of my friends to give up time in their day to put together the hall. This is exactly my issue. I'll probably end up doing it myself, but I sooooo don't want to be stressed. I just can't even squeeze another $1 out of our budget...UGH. I'm trying to get a DOC worked into the budget. I hate the idea of my bridesmaids having to set things up instead of enjoying their day. I want to get our hair/makeup done and relax with a bottle of wine with them instead of running around doing stuff. Of course, if I can't afford the DOC, I guess we'll be hanging out at Arnaldo's all day, lol. All I remember is Mario saying they are not responsible for cleaning up decorations and stuff and anything left behind, they'll assume we don't want it. So make sure if you're not getting a DOC that someone is going to be able to pick up centerpieces, gifts, flowers, etc. 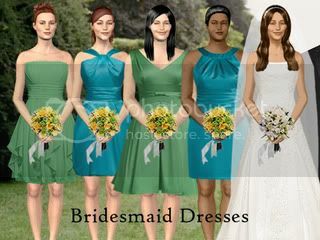 Our Bio July 2012 November Siggy: Bridesmaid Dresses!